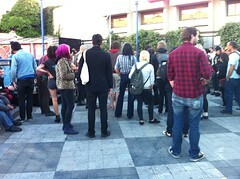 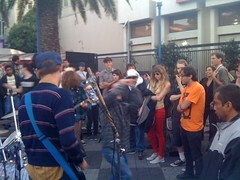 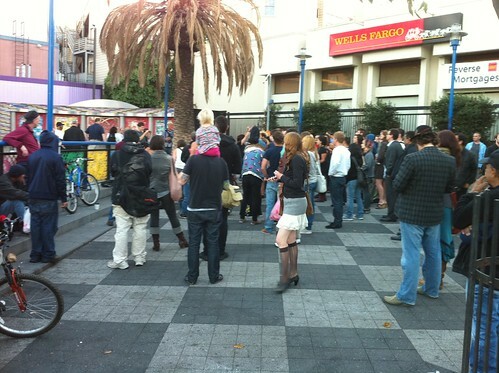 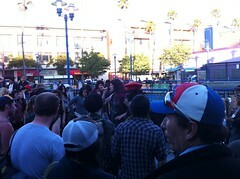 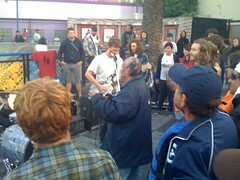 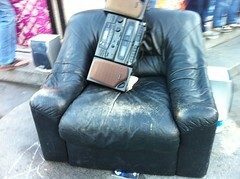 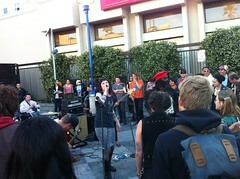 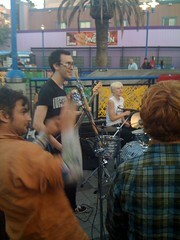 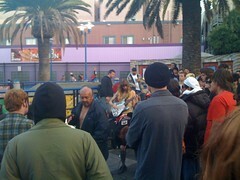 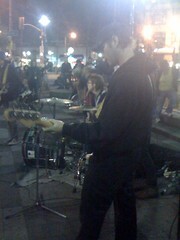 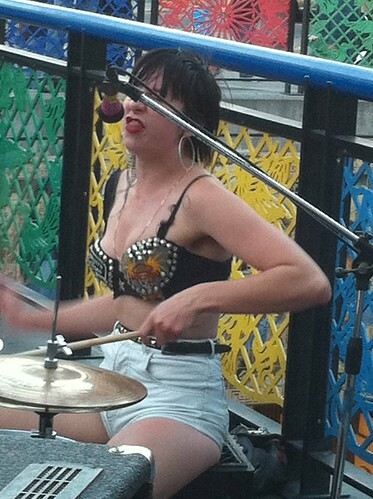 Yesterday evening we had another little punk show at the 16th Mission Bart stop. 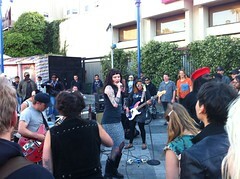 Unlike many previous shows, this one was right in the middle of things; not much buffer zone between the audience and the band. 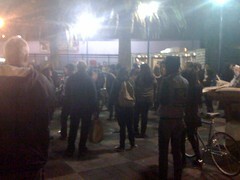 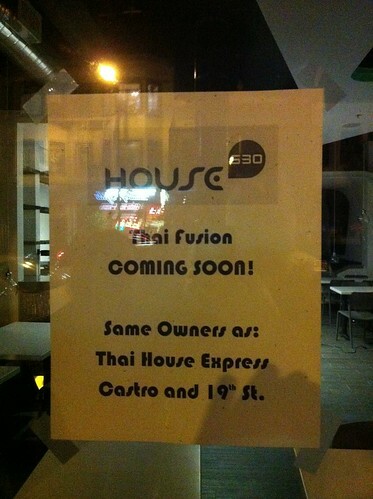 I wasn’t there when they finished up, but I hear that things ended quite early. 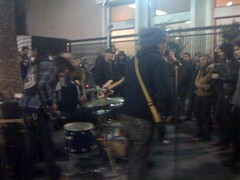 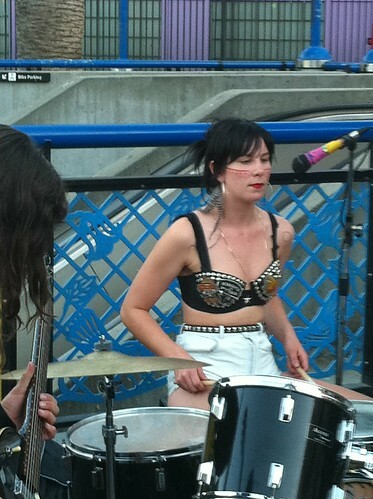 Today (Aug 31st) I arrived at the 16th St. Bart at around 7pm and walked right into a punk show. 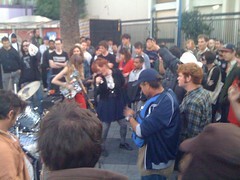 There were at least three bands rotating with 2 song sets. 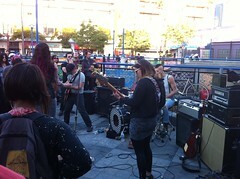 Unfortunately I have no idea who these bands are or what the event was called, if anything. 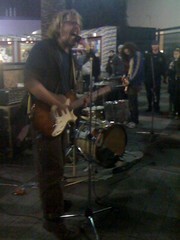 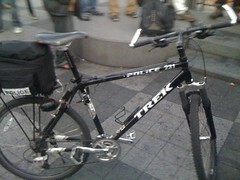 I managed to get a few crappy iPhone pics for your enjoyment. 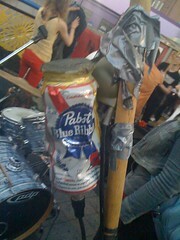 All three bands used the same equipment, including this PBR microphone. 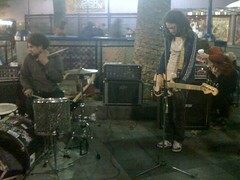 Due to the rotation, I saw this band first and last. 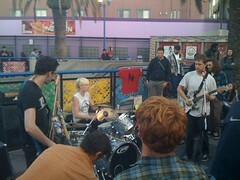 The drummer in this band had a very long and very blond rat tail. 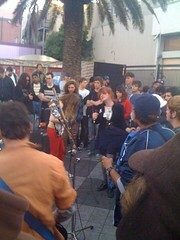 The singer in this band moved much faster than my crappy iPhone camera could handle. 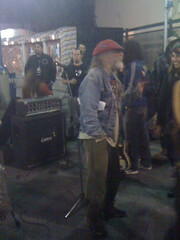 But you go to the impromptu punk show with the camera you have — not the camera you might want or wish to have at a later time. 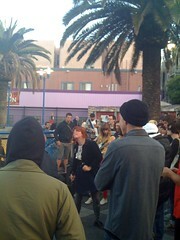 Dancing at a punk show isn’t normal. 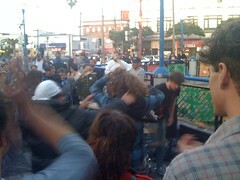 But on meth it is. 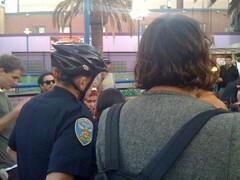 It ended exactly like you would expect. 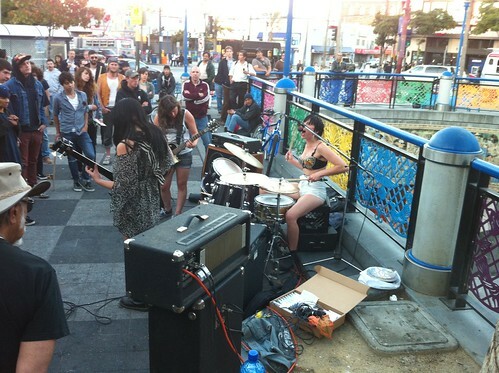 Update: a commenter at Mission Mission provided a band list.